I’ve made my decision, thought Betty Eaton, and it’s the only self-respecting choice I can make. Two years of love and hope were erased when Betty decided not to marry Hal, who wanted a full-time wife, not a “lady doctor.” Betty wanted to be wife and doctor. But perhaps she could not have everything. Forced to choose, she chose medicine. Finally, as Dr. Betty Eaton she is ready for the responsibility of internship and residency at General Hospital, a pulsating medical center in New York City. Still, something is missing. Her sister is married, her friends are marrying and Betty cannot forget her dream: blending marriage and medicine. When she meets Jack Gage, she senses that her dream is at hand. Fulfilling it becomes her greatest challenge. Can she fairly divide her time between Jack and her career? Will he understand that when the lights go on in the operating room at three in the morning, she must be there? Will his family and friends accept a new doctor — and a woman at that — in their small Massachusetts community? Betty struggles to meet the challenge with honesty, femininity and a devotion to both her chosen professions: being wife and being a family doctor. Private duty in Marlin Point, Florida, was the last thing Cass Meredith wanted. The month-long assignment had been handed to her by Dr. Wellton, her friend as well as her boss, and he certainly expected her to accept it. 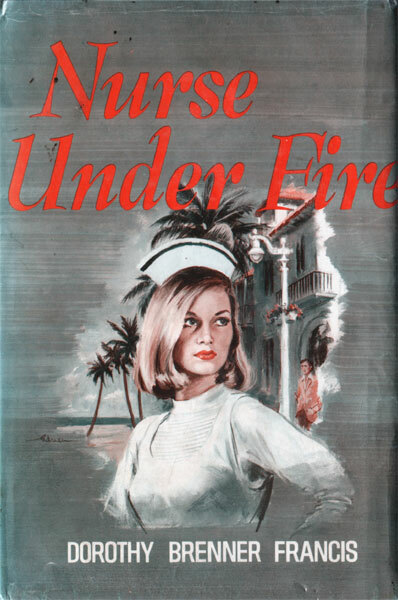 The case itself was not what distressed the pretty twenty-two-year-old nurse. The patient was a young girl of fifteen who had epilepsy — certainly a condition with which Cass could sympathize. Cass, too, was an epileptic, and only because she had understanding parents was she able to live a full and normal life. That life had, until recently, included a lanky young man named Tab Lyon. Handsome, devilish Tab wanted to marry Cass, but she had shied away from such a commitment. She had even suggested a trial separation that had led to his taking a job far from her Miami home — in Marlin Point! Suffering from inner turmoil, Cass arrived in Marlin Point to discover that her assignment was more a bed of thorns than of roses. The patient, Sue Evans, was a sweet girl whom Cass instantly liked. But Sue’s fearfully overprotective mother had kept her a virtual recluse for years, and she made no attempt to conceal her resentment of Cass. 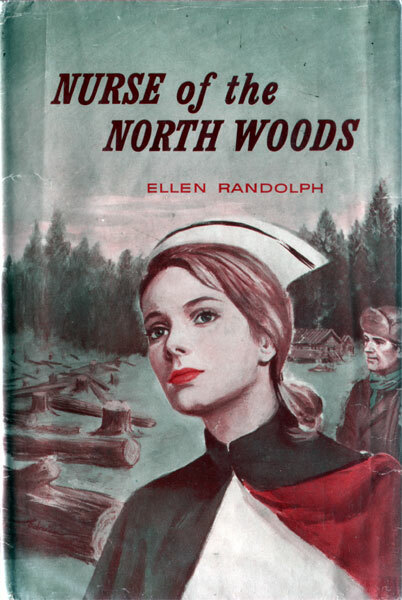 So it was little wonder that Cass found herself leaning on the strong, comforting arm of Mrs. Evan’s’ brother, Max Quigley, a physical therapist who was in complete accord with Cass’s hopes to help Sue lead a free and happy life. When she goes up to Maine to take care of Priscilla Scott, a spunky old lady recovering from a stroke, Nurse Hillary Holt’s life becomes a jumble of love and fear. 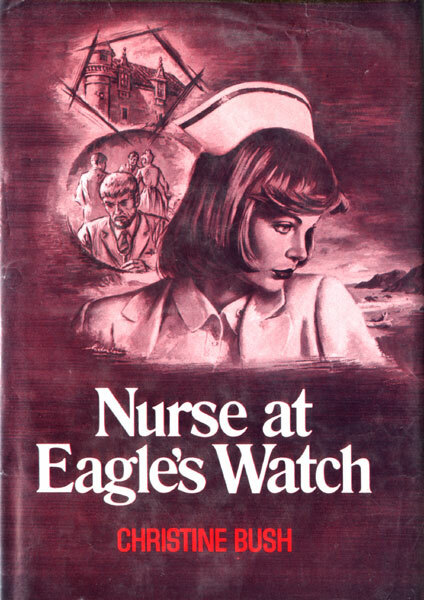 For there, at the isolated castle known as Eagle’s Watch, Hillary meets handsome Dr. Kent Harry, who is clearly attracted to her but cannot express his feelings. Hillary also meets Priscilla Scott’s greedy relatives, all of whom are convinced she’s after the old lady’s wealth. Even Mitchell, the most appealing family member, is frankly interested in money and assumes the young nurse feels the same way. Worse yet, he — or one of the others — seems ready to commit murder to get rid of Hillary! Helen Jervis loved the moors so much that she jumped at the chance of nursing old Ethan Hesketh in Braunston Manor. But she found the old house a nerve racking place. Milly Rolph, the maid, refused point blank to sleep in the manor, and the girl was reluctant to say why. Helen was not a nervous person, and she became attracted to Doctor Keith Spencer. But strange events were taking place under cover of darkness, and it needed a terrifying climax to clear the situation.